A Year of FHE: UTAH 2016 Uplift Families Conference and a DISCOUNT CODE! 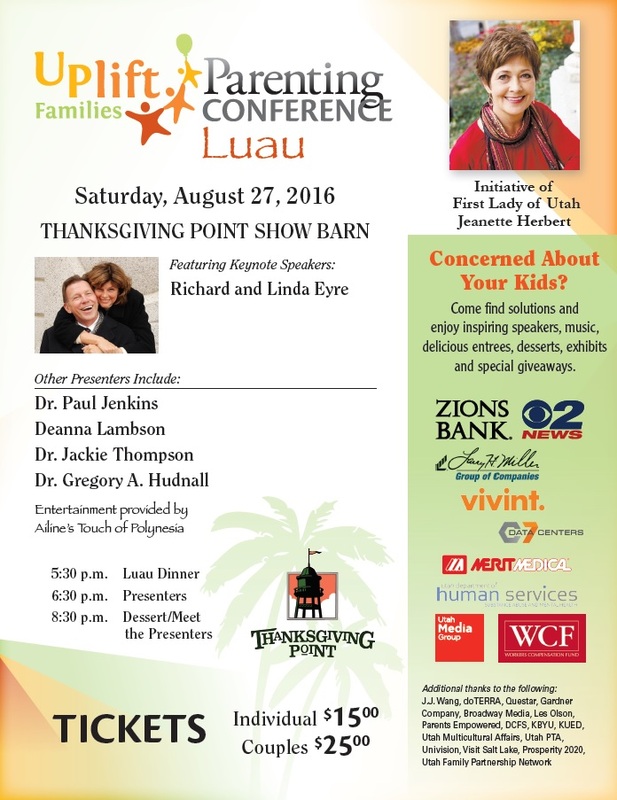 UTAH 2016 Uplift Families Conference and a DISCOUNT CODE! When we moved from Philadelphia to Utah a year and a half ago I made the comment that we have entered the "Land of Children". Coming here with five children is so much easier than living in Philly with five children! What I really should call Utah is the "Land of FAMILIES". And I love that about this wonderful state. There are so many resources for large families (like mine) from activities to seating in restaurants to that magical carpool lane. But there are resources that are even more important and vital to this community. I heard amazing things about last year's conference and was so sad that I missed it. I will definitely be going this year and taking lots of notes. The line-up of speakers is just amazing and I know I will come away with many great ideas on how to improve and strengthen my family. The conference will make such a great date night with your spouse OR if you are a single parent, grab another single-parent friend and go together! The tickets include dinner (a luau! ), the speakers, and a dessert where you can meet the presenters. I am really excited about these presenters. Our family is moving quickly towards the teen years and along with that comes challenges I feel ill-equipped to face as I try and navigate my children through the dangerous years of middle school and high school. You have got to come to this conference and, if you see me and my husband there, you must come up and say Hello! Here's a coupon code for you to get $5 off admission! All because I love you and I want to see you there! I truly believe you will walk away uplifted, inspired, and armed with tools to strengthen your family. Looks like a great time for a great cause. I'm up for a luau.